Small, light, versatile – so practical when visiting customers! 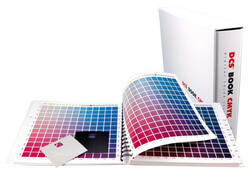 In this way you can predict printing results on various types of paper, for only accurately printed colour reference samples will provide clear colour details. Make a definite decision for the right colour. 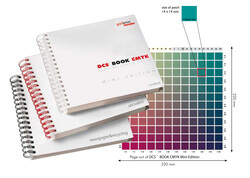 With this small but useful book you will save yourself time and money due to misprints. Your customers will be grateful too, and you in turn will save yourself unnecessary complaints. Delivered in practical light-protective slipcovers. Available in coated finish only.